Trailer for the documentary Who Bombed Judi Bari? 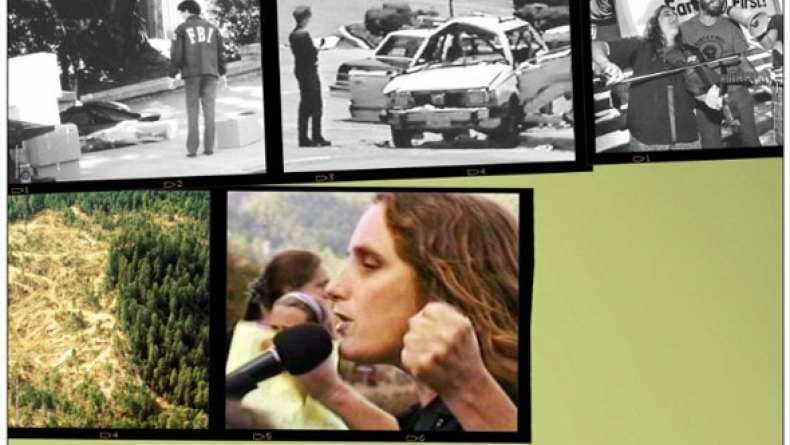 Judi Bari and Darryl Cherney were falsely arrested for car-bombing themselves on May 24, 1990 while on an Earth First! musical organizing tour for Redwood Summer. They sued the FBI for violations of the First Amendment, claiming the FBI knew they were innocent but arrested them to try to silence them. Having survived the bomb but now stricken by cancer, Judi Bari, a leader of the movement to save California's old growth redwoods, gives her on-camera, deathbed testimony about the attempt on her life and her colorful organizing history with the radical environmental movement Earth First.